Have you ever been so hungry that sort simply wasn’t enough, YOU WANT TO EAT THE BOWL TOO! We understand. 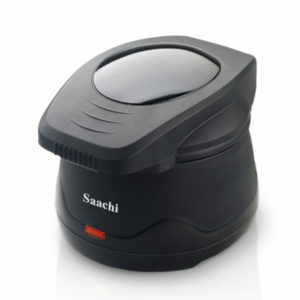 The Saachi Waffle Bowl Maker can make some delicious waffle bowls to compliment some of your favorite deserts and breakfast meals. 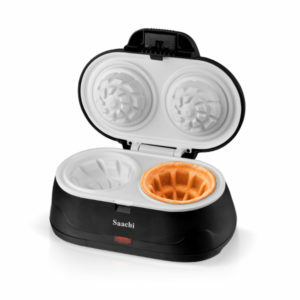 Whether its eggs, fruits, ice cream or yogurt, the waffle bowl is the ideal companion to all of these and more. 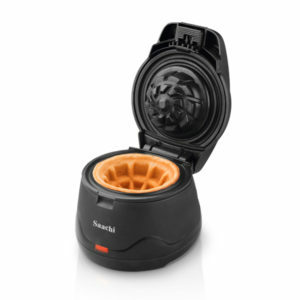 Simply insert the batter into the appliance and sit back and relax. 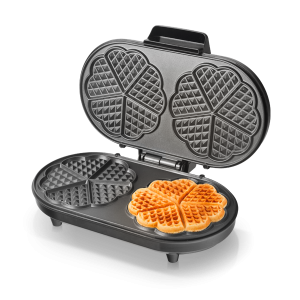 Once the light turns green, your waffle bowl is baked and ready. 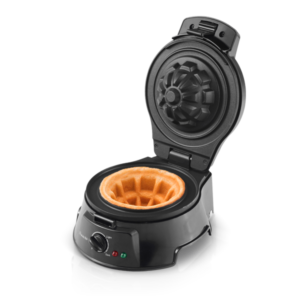 The automatic thermostat maintains the ideal temperature to make these waffles and the non-stick plate makes it easy to extract the bowl without creating a mess. Well, we all love our waffles. Whether they’re topped with maple strum, chocolate sauce or a number of other toppings, they are the best way to kick start or even end our day. Well, we all love our waffles. Whether they’re topped with maple strum, chocolate sauce or a number of other toppings, they are the best way to kick start or even end our day. 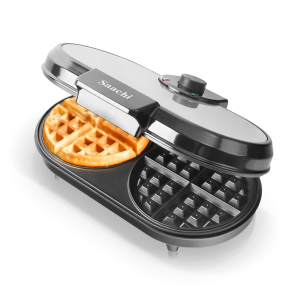 This Saachi Waffle Maker can make a 2 waffle with 10 bite-sized heart shaped pieces in just a few minutes. Well, we all love our waffles. Whether they’re topped with maple strum, chocolate sauce or a number of other toppings, they are the best way to kick start or even end our day. 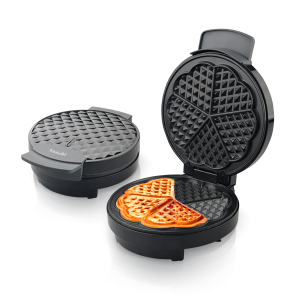 This Saachi Waffle Maker can make a 2 waffle with 8 bite-sized triangular pieces in just a few minutes. Well, we all love our waffles. Whether they’re topped with maple strum, chocolate sauce or a number of other toppings, they are the best way to kick start or even end our day. 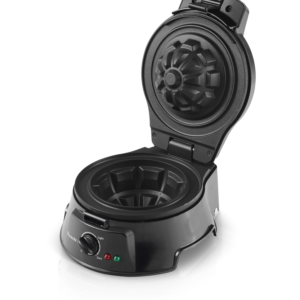 This 5 inch Waffle Bowl Maker can make 1 waffle in just a few minutes. Well, we all love our waffles. Whether they’re topped with maple strum, chocolate sauce or a number of other toppings, they are the best way to kick start or even end our day. 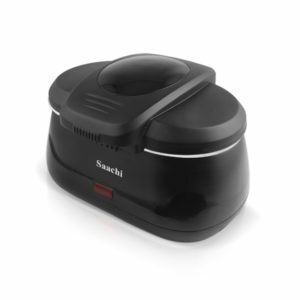 This Saachi Waffle Maker can make a 2 waffle in just a few minutes.